SEMINOLE STATE COLLEGE started in 1966 as a few portable classrooms huddled in a former citrus grove. It is now Seminole State College of Florida with six sites spanning Seminole County and enrollment near 30,000. The college is ranked #16 in the U.S. for associate degrees awarded, is the ninth-largest school in the Florida College System and has 16 programs with specialized accreditations. 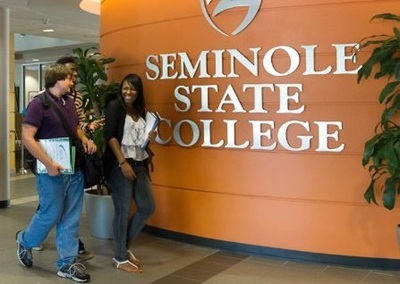 Seminole State College of Florida is a full-service education provider, offering six bachelor's degrees; two-year college-credit degrees (A.A., A.S., A.A.S. ); specialized career certificates; continuing professional education; adult education; and an array of culturally stimulating events and timely guest speakers. The mission of Seminole State College of Florida is to enhance the education, economic, and cultural vitality of their region by providing exemplary learning opportunities to its diverse community. Additionally, Seminole State strives to be a national leader in academic programs and services that cultivate student achievement, career advancement, and global awareness in a collaborative and inclusive learning environment.